If you have any questions or want to enquire about dates, use our form to contact Trusha or see their website for more information. A small converted farmhouse filled with original art – and a remote corner of fascinating Sicily to explore. Trusha, the most likeable, generous host, lives in the barn and will introduce you to the house and land, her new life project. A former antiques dealer, she has great taste and a fine sense of colour. Every room has pieces from Europe and India, gilt-framed oil paintings and mirrors, and you will love the kitchen, hand-made for her and equipped with a careful mix of old and new crockery, cutlery, glassware. The light and airy bedrooms are at the back of the house for summer cool; bathrooms are newly and beautifully installed. The young orchard already provides some fruits, more will come and Trusha leaves you a basket of cheese and wine, jams and fruit. Hiking trails crisscross the forested hills behind hilltop Chiaramonte Gulfi; two bikes are provided; baroque towns surround you, including lovely Noto and cobbled Ragusa; the coast is a 45-minute drive. Cool in the plunge pool on the covered terrace, watch the sunset from the roof. Check out is 10am however if there is no changeover on that day we can be flexible. Christmas, New Year, 19 October - 15 March. We had such a warm welcome from Trusha, the owner, and such a comfortable visit that we regretted only booking for a week. The major sights are all accessible from the house and Chiaramonte provides all the basic necessities, with good eating places nearby. The house is extremely comfortable and, unlike so many rental properties, is equipped with more than just the basics. Sitting out on the terrace with a glass of wine and being overcome with the scent of jasmine is pure heaven! We have rented a number of self-catering properties over the years and Casa Paparina is one of the best. Paparina was one of the loveliest self-catering properties we have stayed in (and we have stayed in quite a few!) beautifully furnished, well equipped and full of character. Trusha has created a perfect holiday home to relax in and to enjoy this fascinating region of Sicily. We enjoyed our al fresco meals by the pool, both morning and especially in the evenings under the wonderful starry skies. Paparina is well located for trips to some wonderful towns like Ragusa, Chiaramonte and Modica. We will remember Paparina and the fun time we had but most of all Trusha's kindness and hospitality. I can't say enough good things about Casa Paparina. The house is beautiful - a secluded but stylish escape from the real world. Location is perfect - close to all the best sites in the south east. We went somewhere new every day and mixed up the baroque towns with sandy beaches. The house had everything we needed. It's been thoughtfully styled throughout and the bespoke handmade kitchen is fabulous. Every evening we returned for a dip in the pool, and a glass of wine as the sun goes down on one side, the the moon goes up on the other. Our two boys (3 & 5) loved it and didn't want to leave. Staying at Casa Paparina was everything we had hoped for and more! The house is beautifully decorated, was very clean and had all the amenities needed for a comfortable stay. It's in a great location to make lots of day trips (beaches, Ragusa, Modica, Noto, Siracusa, mount Etna, and many more), but the porch was such an amazing place to hang out that we really didn't want to go anywhere else. Trusha, the owner, made us feel very welcome. 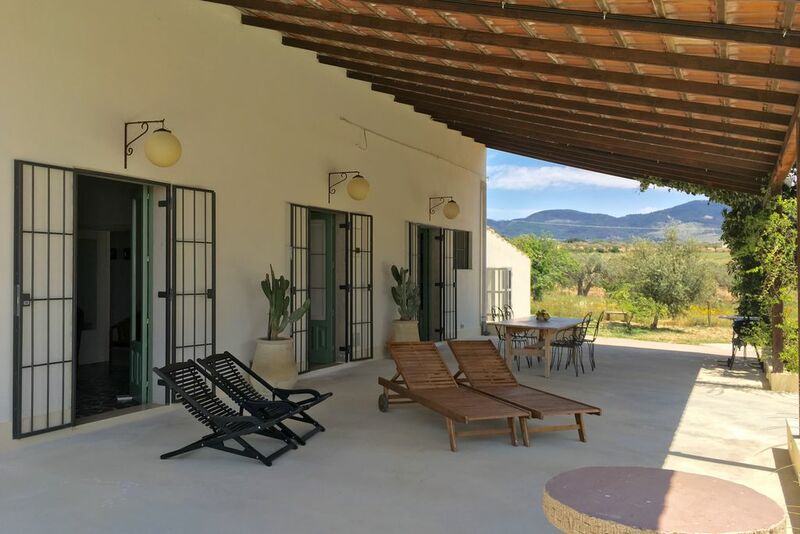 We highly recommend this house to anyone who's looking for a place to totally relax and enjoy the beauty of southeast Sicily. Casa Paparina is a Sicilian pearl! Don’t look any further: you have just found the perfect place. It’s beautifully decorated and fully equipped! The porch is the place to be for you and your friends/family - from sunrise until sunset! The house has a loving and warm soul. Trusha is a great host: there was fresh fruit, cold water and delicious bread for us upon arrival, but besides that she’s a very pleasant and good-natured person. She lives in the adjacent house, but that does not compromise your privacy at all. We loved Millie the dog and Kitty the cat, who made us feel at home even more! Amazing stay in most charming location We stayed for a week.​ The countryside surrounding the house is very peaceful and beautiful.​ You need a car to get around and we visited very easily Siracusa and had the most scenic trip back from there. The sea is also never far away. The area is also very cool to bike around. Trusha was an exceptional host with an attention to details. We loved our stay! Perfection! Casa Paparina is pure delight. Our family spent a relaxing week in this chic old Sicilian farmhouse that’s been renovated with a keen, modern eye but kept its old-world details. The perfect base from which to explore southern Sicily. We did easy day trips to Modica, Siracusa, Noto, Ragusa, Vendicari... everything surrounds - food and history and beauty all tempt. But I must admit that many of the days I found the house so welcoming that instead of heading off to see the sights I’d open all the veranda doors and just wander from room to room soaking up the atmosphere. What a lovely place! This little jewel of a house was a great find in the middle of the countryside - perfect for 2 couples like us as both bedroom suites are large and spacious and the communal areas just lovely! It was a really calm and peaceful haven after 4 days in Palermo. The rooms, without exception are light, bright & elegantly dressed and furnished and the outdoor space with plunge pool so cool. The beds are enormous and super comfortable & the crisp white linen just perfect. Trusha, the owner was very warm & welcoming & provided fresh fruit & goodies to start us off too - super! Paparina is a lvely, quiet and inviting place to spend some time. The house is very comfortable with ensuite baths for each bedroom, and the kitchen quickly becomes the centre of activites, especially in cooler months. The pool will be very welcome in the summer months and the spacious, fragrant shaded terrace is the perfect place for meals al frescoe or just plain relaxing. Our host was gracious, generous and respectful of our space. If you want a quiet respite in a well appointed location, this is the place for you. We stayed at the fantastic Casa Paparina for 10 days in October. The house was the perfect base for exploring Sicily. The house has all the facilities you need and Trusha made sure we had everything we needed for our infant girl like a cod and a high chair. She is very welcoming and will do everything to help you and make you feel at home. We will be back for sure! Must be almost unique among self-catering villas, set amongst farmed fields with 360 degree views, fabulous sunsets & good restaurants and adequate shops nearby. Best of all was our wonderful, kind, generous & helpful hostess, the amazing Trusha! Lovely house, great location and Trusha was kind, generous and it was a pleasure to meet her. It was a very special holiday. Thank you. 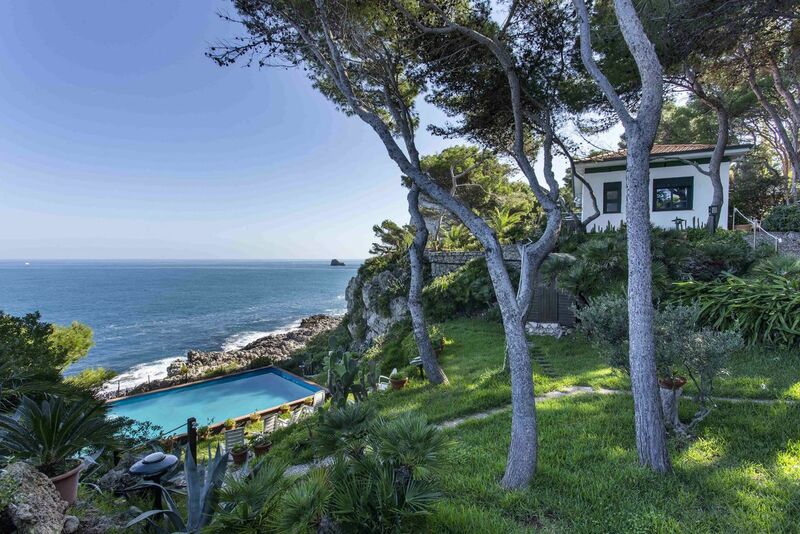 Paparina is the most gorgeous place to stay. Trusha is a wonderful host and has thought of everything, even small details such as fantastic locally sourced olive oil on arrival and a basket of delectable fresh produce from the garden. The place is beautifully and simply decorated with wonderful antiques and a brilliant and diverse bookcase for our use too! Our two young boys absolutely loved the place and spent hours in the pool and playing with Minnie and Kitty too. A great highlight on our final evening was hearing the owls call. We thoroughly recommend Paparina to all! We loved this place. It was just the two of us, and is perfect for a romantic escape or for a family holiday. The house is really tasteful (Trusha is also an antiques dealer) and comfortable. It is perfectly located. The views across the valley are really beautiful. It has amazing sunsets, and a rooftop terrace form which to view them. It is extremely peaceful and yet minutes from the main roads, and so a handful of extraordinary baroque towns are within a short drive. Blissful! What a fantastic place to stay when in Sicily. Trusha is a wonderful host who has great sense for how hospitality should feel like...Being very personal but knowing when to give her guests privacy as well, is a rare good nowadays...Her great taste of design that she has brought to the villa, feels very luxurious. Adding the lovely private pool, great sights from the rooftop terrace and the company of sweet dog Millie, we couldn't have asked for more during our first week of our holiday. We loved staying at Paparina - very tasteful, comfortable and relaxing to be in. The terrace and pool were a real treat. We visited several impressive historic sites in the area, enjoyed various cafes and restaurants, and also just being at Paparina. The owner was a real pleasure to meet - just the right mixture of being helpful and discreet. She was extremely kind when our son needed treatment for an eye infection he had picked up just before we left the UK. We were very impressed by the excellent medical attention he received at a local treatment centre she took us to. Very satisfied. It was such a joy to escape to this warm and welcoming place, 10 days over the New Year, Trusha was a great host always available to help with any queries, and what a beautiful house! Stylishly decorated, with the best equipped kitchen, great beds!! The pictures don't do it justice!! Views from the roof terrace are wonderful. It was so good we have booked it in August to experience it in the heat of the summer, where we will probably spend the whole time in the plunge pool!! Cant recommend it highly enough, and like a fine wine it will only get even better with time. Loved it!! Chiaramonte Gulfi, nicknamed 'the balcony of Sicily', a pretty town you can see from the house, nestled high up in the hills. You can while away a few hours visiting the many churches and museums or relax in one of the cafes in the square. Modica and Scicli, about 45 km drive are also worth a visit. All boasting wonderful baroque architecture and are Unesco-listed towns of south east Sicily. Modica is also famous for its chocolate. Catania, the beautiful port city with its many baroque churches, meusums, the famous opera house and Roman ruins. It is situated on the eastern coast of Sicily and sits at the foot of Mt. Etna. The city is a wonderful combination of ancient and modern. Visit the many sites where the well known detective series, Montalbano is filmed. For example the pretty fishing village Punta Secca - the house Montalbano lives in in the series is here. There is also a very cute beach here and nice restaurants and cafes. Spend the day at one of the many beautiful beaches, no more than a 40 minute drive or take a drive along the coast and visit Marina de Ragusa, the stunning Noto, incredible Syracuse with its wonderful market, the quaint fishing village Marzamemi and more.